Step 1 : To assign categories to a printer, first tap on the three lines on the top left for the menu bar. Then select "Settings", and then "Printers". Step 2 : Tap on the printer in the list. For example the "Kitchen" printer. Step 3 : Enable the categories you want assigned to this printer. You can assign a category to more than one printer. 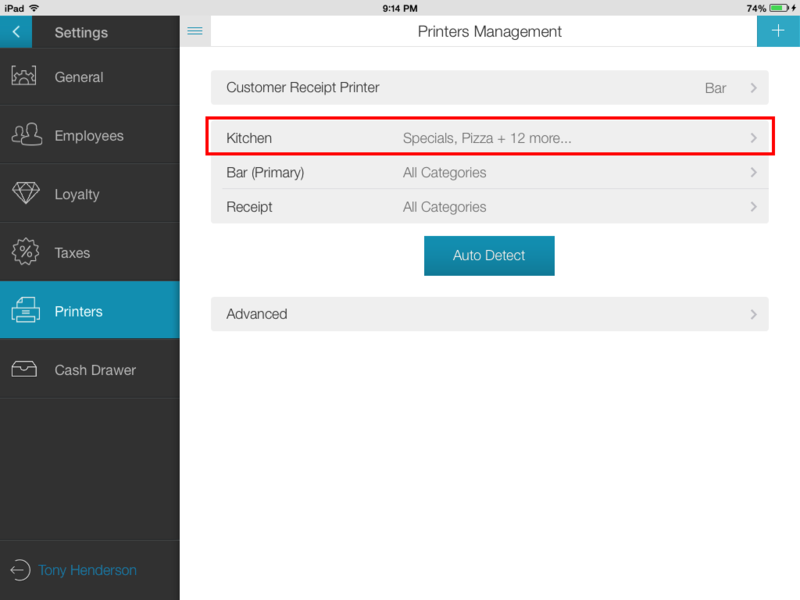 In the example below, the kitchen printer will print out all categories of tickets. When you have chosen the categories you want to print, tap on the Save folder on the top right. Step 4 : Now create an order with items. 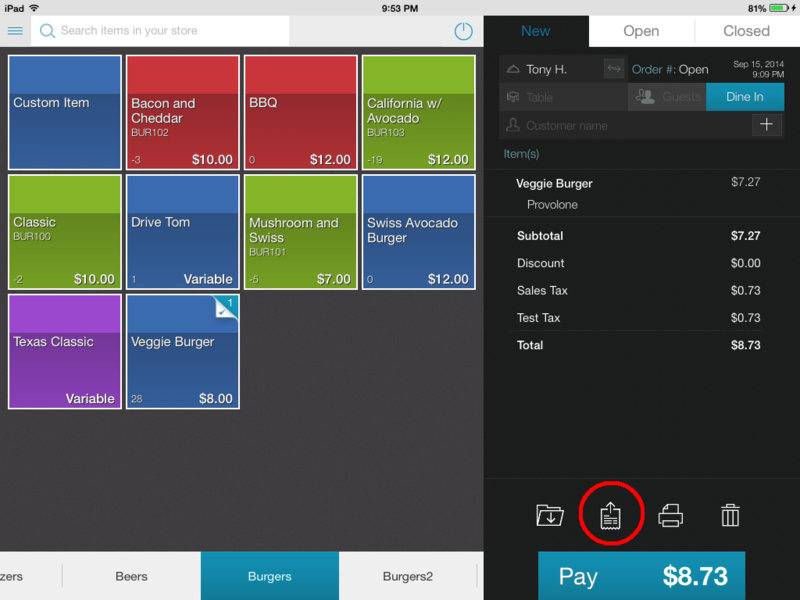 Tapping on the send order feature dispatches the drink tickets to the bar printer and the food ticket to the kitchen and expo printers. 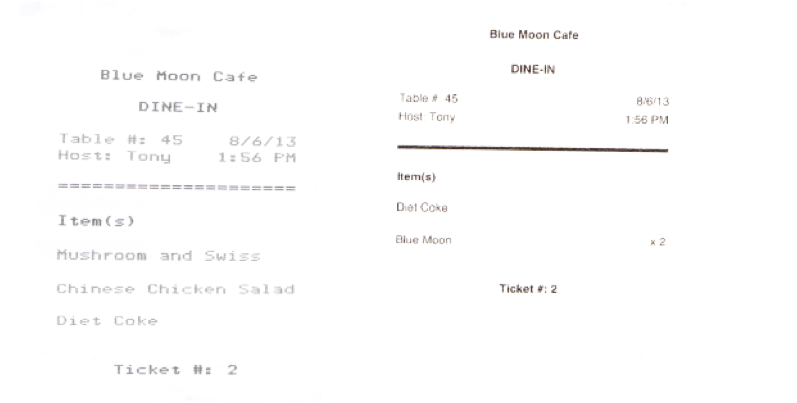 As shown below, the food items are printed to the kitchen printer and the drinks are printed to the bar printer.